Want to get away on the vacation of a lifetime? Encourage customers to download the EcoStruxure™ IT Gateway, do some assessments, and you just may be on your way! 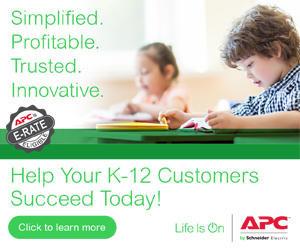 APC by Schneider Electric is launching a new contest for partners, Gateway to Getaway, which rewards partners who connect new customers to their EcoStruxure IT interface, our cloud-based data center infrastructure management (DCIM) solution. The winner receives an all-expenses paid vacation excursion of their choice. EcoStruxure IT Expert is a vendor-neutral monitoring solution that makes it easy for partners to keep an eye on their customers’ IT infrastructure. A simple downloadable software gateway – the EcoStruxure IT Gateway (get connected here ) collects data on all data center infrastructure. It sends the data to the cloud-based Schneider Electric Data Lake, where it is analyzed along with (anonymized) data from many other customers. That data can then be used establish a baseline for what typical performance should be for various data center components, to drive predictive analytics programs. This post describes the process in more detail. Partners can earn entries to the Gateway to Getaway contest in two ways. One is to sign up a new customer for EcoStruxure IT Expert. Each new customer that installs the EcoStruxure IT Gateway, and gives you visibility into their infrastructure, earns you one contest entry. You can earn entries through Nov. 30, 2018, and the winner will be selected at random from all entries on Dec. 15. The winner gets to choose a vacation package from an extensive list of options, ranging from a relaxing cruise, 7-night stay in the city of your choice, a 14-day excursion through Peru and lots more. To get you prepared, we’re offering partners a 30-day free trial and demonstration of EcoStruxure™ IT Expert. Click here to sign up and schedule a demonstration. Click here to get complete contest details. Good luck and bon voyage!